The Maldives have long been hailed as the place to go for an ultimate exotic escape. A heaven on earth, this tropical wonderland is hard to beat when it comes to beach vacations. Perhaps the Maldives have been sitting on your bucket list for many years, or maybe you’re considering a family holiday or place to head on your honeymoon; whatever your reasons, the Maldives are a must-visit destination that will not disappoint. If you’ve spent even just a few minutes looking at images of the endless white sands, swaying palms and peachy sunsets, then you probably don’t need much persuading for a Maldives getaway. However, if you need a little more enticing, then we’ve put together 10 reasons why the Maldives should be where you jet-off to on your next vacation. The Maldives are an absolute dream for foodies. Seriously, it’s one of the best food destinations in the world, and the resorts here truly do go above and beyond create incredible food offerings. Many of the larger Maldives resorts have a generous buffet breakfast, where you can feast on things like freshly cut exotic fruits, salads, cheeses, meat selections, freshly baked bread and decadent cakes, teas coffees lattes, fresh juices and smoothies. You will often find an egg station where the wonderful chefs will prepare your eggs to perfection. Many people say that breakfast alone is worth going to the Maldives for, as there is so much to choose from! One resort that does buffet breakfasts particularly well is the One and Only Reethi Rah. This glamorous resort is famous for its spacious villas, celebrity guests, and incredibly high-quality cuisine. There are also some more unusual dining experiences in the Maldives. Maldives resorts such as Soneva Jani offer special wine, cheese, and chocolate tasting rooms. A chocolate room is where you can take your pick from a huge array of the most delicious baked treats including fresh macarons, chocolate brownies, and even chocolate fountains. The cheese rooms feature some of the best fromages from around the world, including baked camembert, edam, and strong cheddars. Sommeliers and cheese experts are on hand to help explain the different types of cheeses on offer, as well as match your selections with the best wines in the world. And of course, ice cream parlours are pretty self-explanatory. Soneva Jani also offers an ice cream room where you can choose from a whopping 64 different ice cream flavours including some more unusual combinations as well as vegan options for those who do not do dairy. Click here to see more images and get the best rates on a stay at Soneva Jani. And then there’s also the dining experiences, and if you’re travelling with a loved one these romantic packages really do need to be experienced. One of the favorites is to have a romantic beach dinner for two that is set-up on your own private sandbank or beach. Most top Maldives resorts will have a secret secluded area which is away from the crowds, and they will have a whole team on hand to create the most incredible atmosphere for you and your lover. They are also often able to tailor the menu according to your personal preferences. Imagine dining underneath the Maldivian starlit sky as you feast on your most favourite foods and wash it all down with the best wine selections around. There are also other food experiences including boat cruises and sunset packages where the chefs can cook up freshly caught fish for you. And of course, if you’re feeling too lazy to even leave your villa, then the chef can come to you by preparing a romantic dinner for you on the balcony of your thatched roof overwater villa. And it’s not just foodies that are catered for, water-lovers will feel incredibly at home here. The Maldives are famous for having some of the most diverse and colourful selection of marine life in the world. 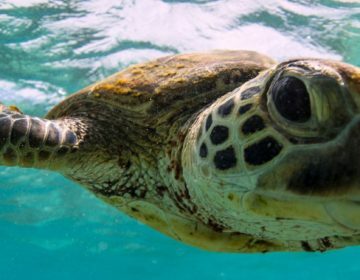 From turtles and dolphins to whale sharks and rays, the Maldives have it all. 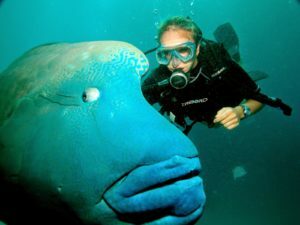 If you love exploring the underwater world, then you can choose to go out on dives. Most of the larger Maldives resorts actually will have their own PADI certified Center, and a team of trained staff who are able to take you out on day dives, night dives and even more specialist dives such as wreck diving. Don’t worry if you’re a beginner, these centers often have special courses for newbies and you can begin by practicing in the resort pool. If diving is not your thing then you may want to try snorkeling. Most resorts will have a house reef, so you can simply pick up a snorkel from the watersports center and swim out to marvel at the marine life. And of course, you can enjoy being out above the water. The choice of watersports in the Maldives is huge, and you can try your hand at parasailing, water-skiing, jet skiing, hiring kayaks, and even stand up paddle boarding. The main reason why many people put off vacation to the Maldives is simply that they think it’s going to cost a huge amount. Many years ago the Maldives were an exclusive and pricey holiday destination, as resorts were fewer and flights were often incredibly expensive. 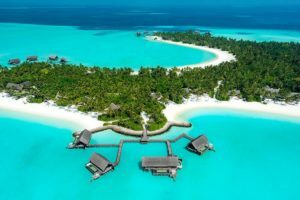 Now thanks to a huge increase in demand as well as a number of low-cost Airlines springing up, a Maldives holiday can work out to be much cheaper than first expected. Take Scoot for example, who now fly from Singapore to the Maldives – and if you’re lucky you can even get a flight deal for less than $100. There are also incredibly great-value family resorts that offer all-inclusive vacation packages so you know that everything is sorted and there’s no having to worry about the bill on checkout. Looking for an affordable stay in the Maldives? Have a read of this article which lists some of the cheapest places to stay. You can also check out this article on how to plan a great value Maldives vacation that won’t break the bank. If you want a vacation to truly get away from all the hustle and bustle of daily life back home, then the Maldives is the place for you. Here there is nothing you have to be or do, and the main aim of the game is to simply unwind and relax. Many Maldives resorts have a ‘no news no shoes policy’, this means that they encourage you to remove your shoes from the second that you step off your seaplane or speed boat, and you don’t actually have to put them on until you leave. This can even include when it comes to dining in the restaurants, as many resorts like to go for that laid-back barefoot luxury vibe. If you want to escape it all, head to the Maldives. 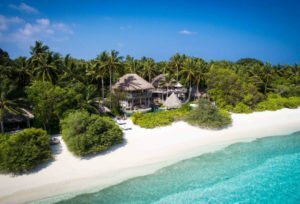 There are currently over 140 different island resorts in the Maldives, and this number is increasing rapidly with many new hotels springing up in the last year alone. On top of these resorts, there are also a number of independent, family-run guest houses and hotels springing up on the local Islands. Because of this, there are a huge selection of Maldives accommodation options available, including different types all budgets and tastes. If you want the grandest, opulent and luxurious accommodations of the lot then we recommend going for a super high-end resort such as the Conrad Maldives. In this Maldives resort, you will find enormous luxury villas that come with multi-story bedrooms, private infinity pools, hot tubs, 24-hour Butler service, and all the mod cons you expect from such a wonderful 5-star resort. On the other hand, if you’re looking for something a little more wallet-friendly, then we recommend you go for something like Gili Lankafushi. Adding to the culture of calm is the number of super-chilled activities on offer that will help you to find peace and stillness. 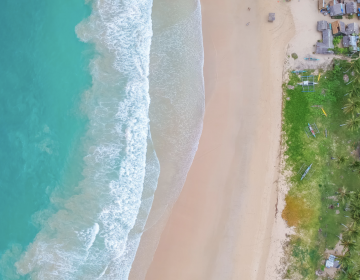 Almost all of the major will offer yoga and meditation sessions included with a stay – quite often these will be on the beach or in a beautiful overwater shala. Some resorts, such as the Six Senses Laamu, even offer more unusual styles of yoga including aerial yoga where you use silk hammocks to hang upside down and defy gravity as you move through your asana practice. And yoga aside, there is always the spa to be pampered in. 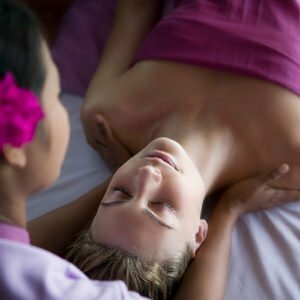 Most Maldives resorts have incredible world-class spas, often with treatment rooms set over the Indian Ocean, so you can listen to the sound of lapping waves as you indulge in an aromatherapy massage. Other popular treatments include natural facials, manicures and pedicures, and sugar and salt body scrubs to keep your skin silky soft. A Maldives resort is the way to go if you want to experience that Robinson Crusoe island vibes with added luxury, but there also is another way to do it and that is to stay on one of the local Islands. 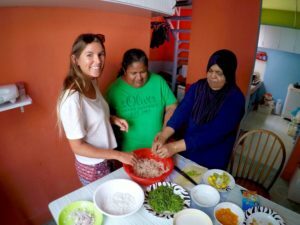 This, in fact, is a much different experience compared to staying in one of the Maldives resorts, and it comes with its own set of customs and cultural systems that need to be respected. 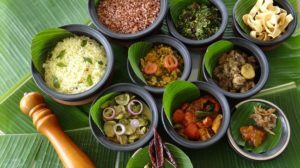 However, it can be very rewarding to experience the true Maldivian culture up close. You may prefer to incorporate a day trip to one of the local Islands into your Maldives resort stay. You can also choose to stay a night on the main island of Huhule when you fly into the International Airport there. 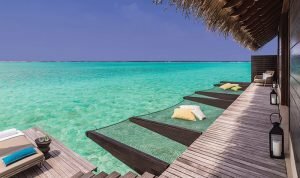 There are a number of great local hotels to choose from, and this provides a nice way to acclimatise yourself to both the local time zone and to the climate before you head onto your Maldives resort. Hulhule is home to a nice blend of local culture along with modern conveniences such as supermarkets, malls, and restaurants. Are you thinking of popping the question to your loved one? There’s no better place on the planet than to do it than in the Maldives. The wonderful staff at five-star Maldives resorts have plenty of experience with helping guests to plan that very special engagement occasion. If you contact them beforehand with your ideas on how you will propose, then they will do that absolute best to make sure that the whole event runs smoothly, and they can even organize a secret photographer to capture the magic moments for you. You can choose to lounge in the comfort of your own romantic overwater villa, dine underneath the stars with a special destination dinner package, head out on sunset water cruises, indulge in couples massages and special flower petal baths, or even spend your honeymoon here. And last but by no means least are those sunsets. What can we say, the sunsets in the Maldives truly have to be seen to be believed. To see a fiery sunset reflecting on the shimmering waters of the Indian ocean is such a wonderful experience to share with someone special or with the whole family. 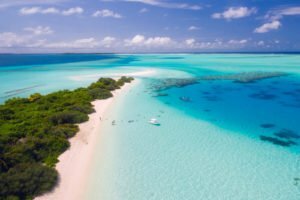 So there you have it, 10 reasons why the Maldives should be your next vacation destination, but in truth, there are so many more reasons why you need to see this holiday hotspot with your own eyes. Are you sold on heading out to the Maldives? We have a huge range of articles on hand to help you to find and choose the very best Maldives resort for your needs. 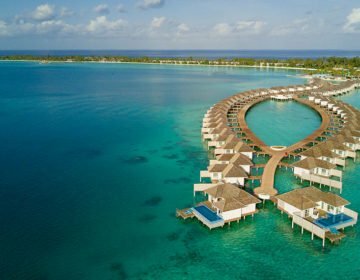 Check out this article which lists some of our favourite Maldives resorts around, as well as this one which details everything you need to know before you go. Already booked your Maldives vacation? Then check out our ultimate packing guide so you don’t need anything else behind. Happy travels! Have you travelled to the Maldives before? What were your favourite things about your vacation? Let us know in the comments sections below.